the main controls work, obviously there is no cable for the trip nor for the cruise, I thought I had a little luck since my bcm is strangely a 937-087, via vcds tells me that I can activate it by check, the unit is compatible or do I have to dismount it to see if there are pins?, I bought cables and connectors from aliexpress to self build the wiring , the terminal N 907 647 01 / 000 979 009 for dashboard - bcm but what's the connector with the rubber that goes into the ECU connector (j623)? right? sorry for all these questions, thank you so much in advance. hello guys, yesterday I installed the wiring, except the pin that goes to the ecu for reasons of time and because the mqs should be slightly different, the onboard computer works but except the bottom button of the trip (sw instrument too old?) 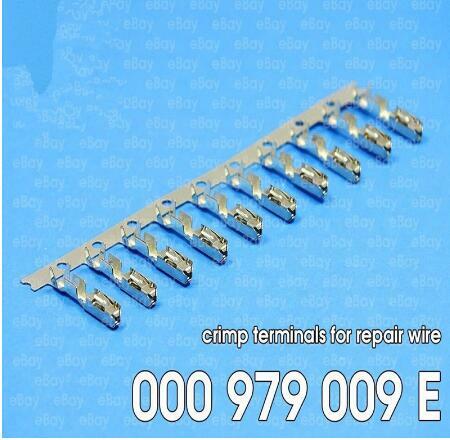 , the cruise keys tested with the vcds and respond perfectly. With a fresh/recent and FULL Autoscan we can answer your questions accurately. 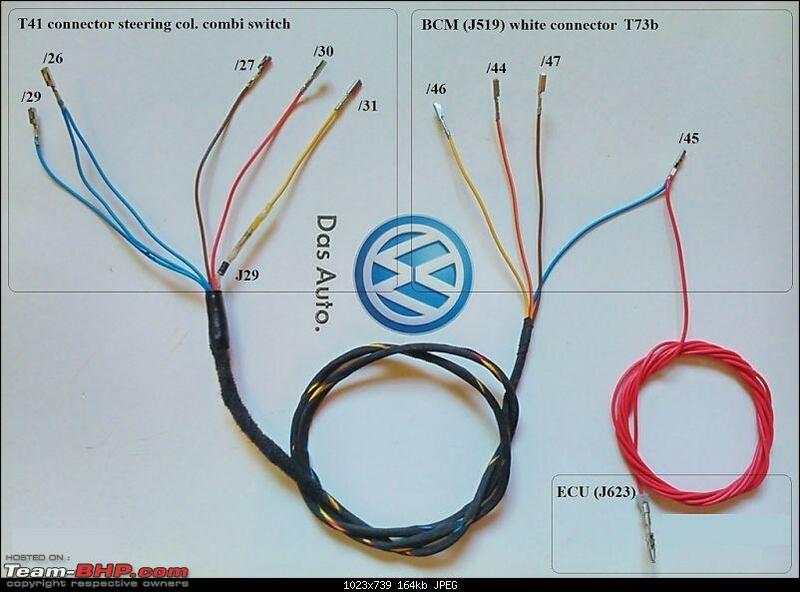 Different ECUs = Different terminals. as I wrote again I have to unmount the ecu and connect the pin number 64 to t94 connector , I wanted to be sure that the mqs is suitable before doing the work. as soon as I can re-do a full scan, but I have before doing the wiring, for the dashboard I was just curious to figure out if you could reprogram with the vag pro or you had to use other tools. Thanks again. ... I wanted to be sure that the mqs is suitable before doing the work. 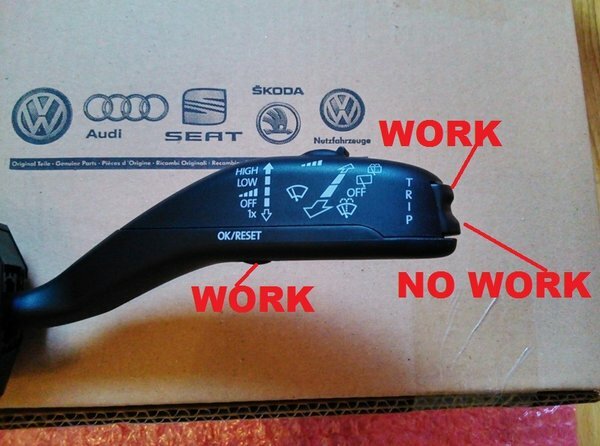 for the dashboard I was just curious to figure out if you could reprogram with the vag pro or you had to use other tools. Thanks again. I put the mqs bad here too? or bad ecu pin? The wire is in the right place. 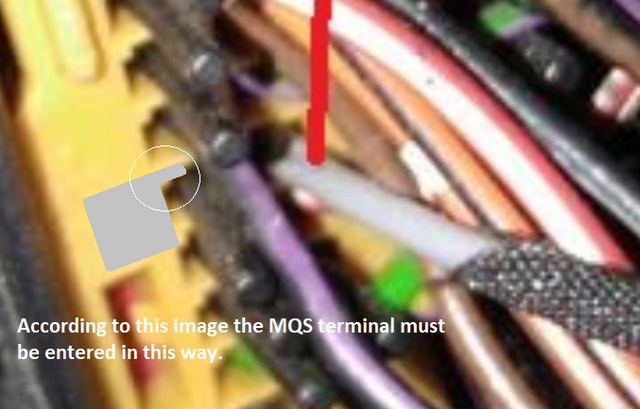 Have you removed the locking mechanism (violet/purple color) from the connector to put it back once you have entered the MQS terminal? 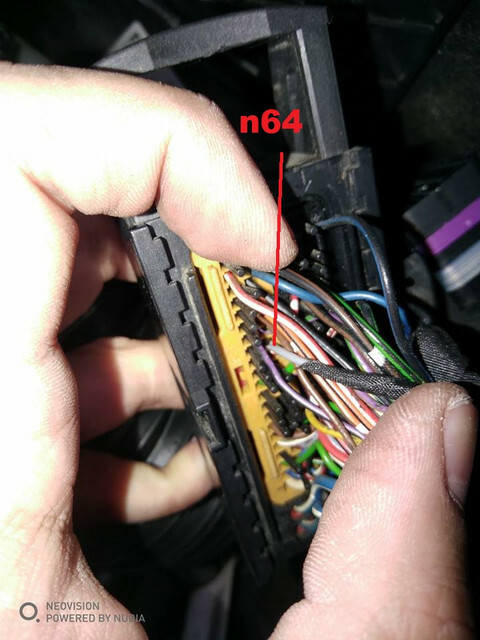 hi guys, at the end I checked the connector of the ECU, check the cable of the cruise and actually the mqs is not stuck. pull the cable to let out the mqs, salt to 3/4 of the race coming out halfway from the outside, I try to get it out pulling it with a pliers but .... the mqs breaks in two parts !!! I try in all ways but that half does not decide to go out .... in the end I also do the damage by breaking the red-white cable near the cruise, I decide to do things right and disassembly all the connector. the divine in the 3 parts, cut the red rubber to insert the cables to the side, repair the red-white cable with sheath + solding and that of the cruise with a new mqs inserting it directly into the lower half (the connector is nice long! 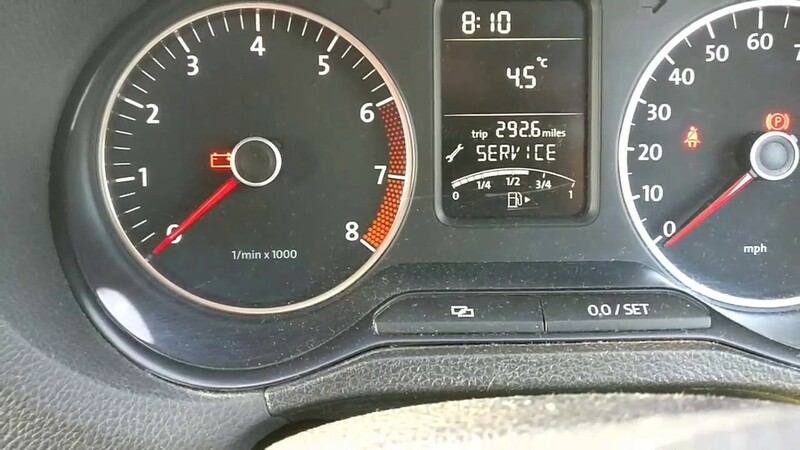 ), I do leave the car and everything seems to work, I go on the road cruise switch on, 30km / h but nothing comes on! then I remember someone said that it worked only after 40km / h, so I try again and .... tadan! I'm glad that your CCS finally works. Congrats! 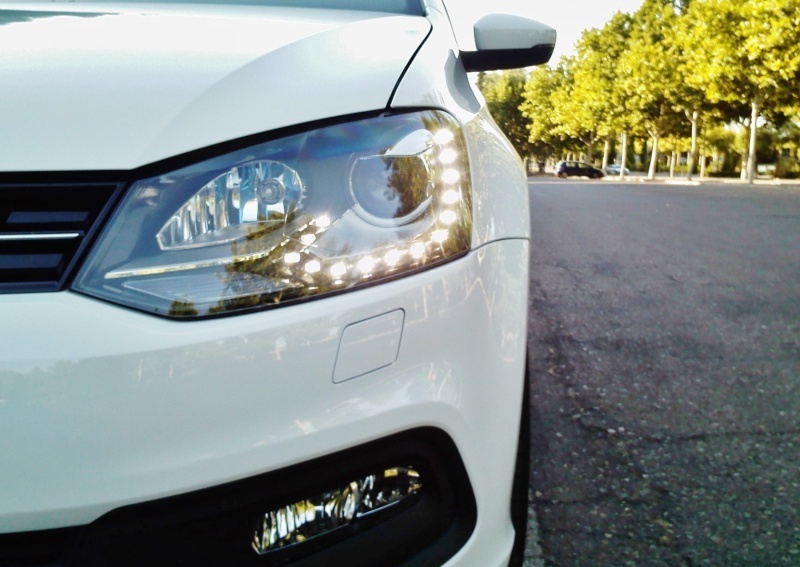 You can buy them on eBay, etc... or at your VW dealer. 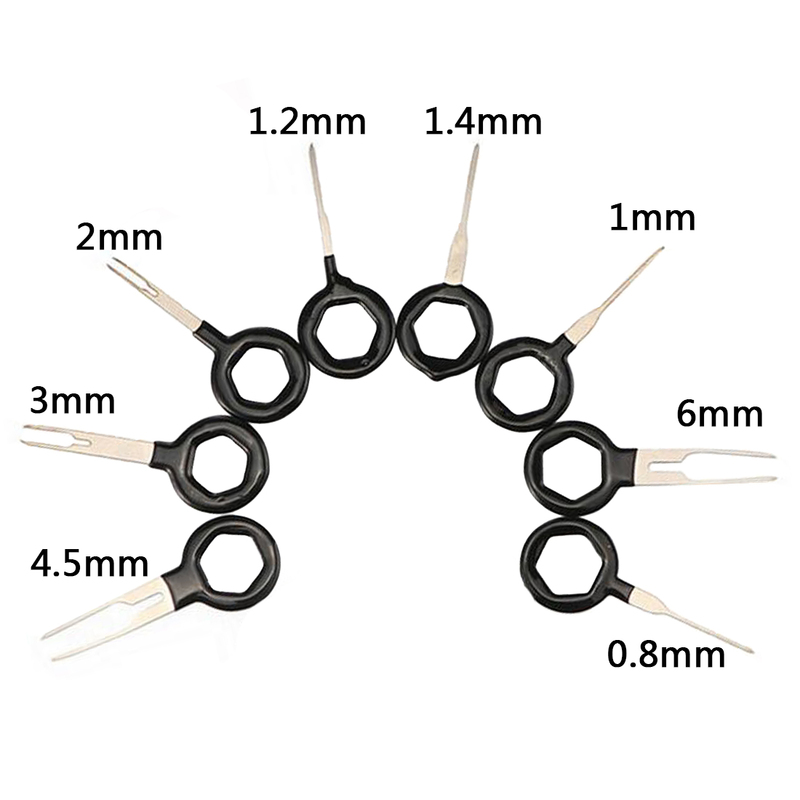 I leave here an image and a link of cheap and very useful tools to remove terminals in connectors with small and medium terminals. 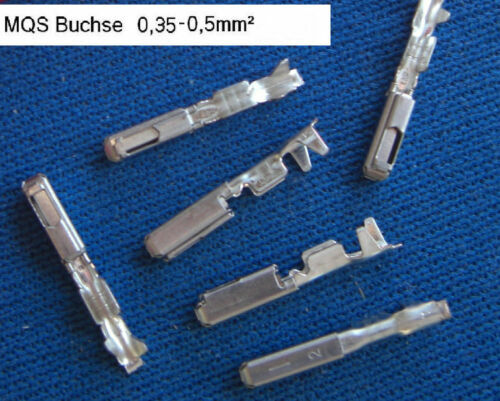 To extract terminals you need experience, patience and good tools.